The word pizza in Italian identifies any type of flat bread or pie baked or fried. Pizza, the way we know it today, is a derivation from focaccia (from the Latin word for fire), flat bread that has been prepared since antiquity in different forms and garnished with herbs, olives, fat, raisin, honey, and nuts. 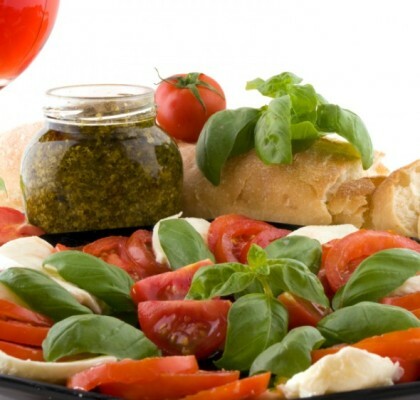 Although you’d find many types of pitas or pizzas around the Mediterranean, it is in Naples that pizza in the form we know it today first emerged, after the tomato appeared on the table in the 1700s. Naples has many records of pizza since around the year 1000; the first mentions call these flat breads laganae, and later they are referred to as picea. 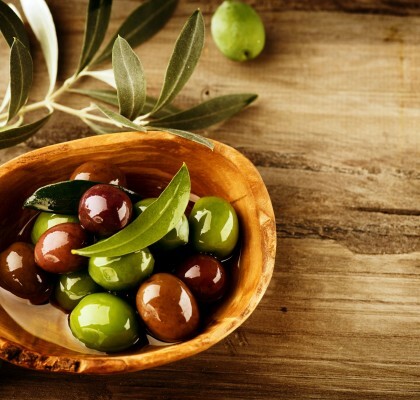 In those times, pizzas were dressed with garlic and olive oil, or cheese and anchovies, or small local fish. They were baked on the open fire and sometimes were closed in two, as a book, to form a calzone. In Naples is also where the first pizzerias opened up, with brick wood-burning oven, covered with lava stones from the Mount Vesuvius. 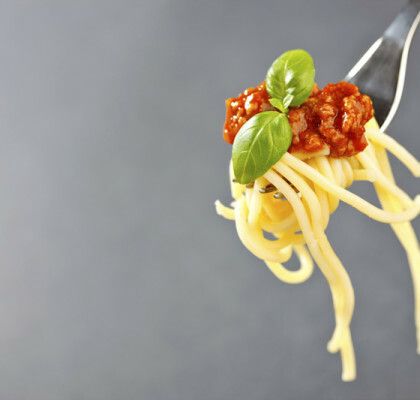 The chefs of those times ignored pizza because was considered a poor peoples food, but the new combination with the tomato, when it entered the kitchen around the 1770s, must have raised some curiosity, even in the royal palace. Ferdinand I Bourbon, King of Naples, loved the simple food of the people and went to taste the pizzas made in the shop of Antonio Testa. He liked it so much that he wanted pizza to be included in the menu at the court. He failed after the opposition of his wife, Queen Maria Carolina. His son Ferdinand II also liked all kind of popular food and he loved pizza to the point that he hired Domenico Testa, son of the now famous Antonio, to build a pizza oven in the royal palace of Capodimonte. 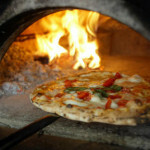 Pizza became very popular, earning its place in Neapolitan folklore. Simple and economical, it turned into the food for all people, even sold on the streets, as shown in many illustrations of the time. 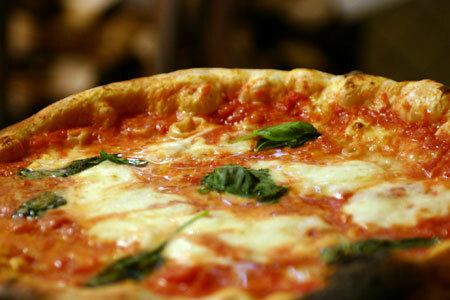 A famous episode extended the popularity of pizza beyond the limits of the city of Naples. It was 1889, and Margherita, queen of Italy, was visiting the city. She was told about pizza and wanted to taste it. A famous cook by the name of Don Raffaele, helped by his wife Donna Rosa, was invited to cook pizza at the royal palace. They prepared three pizzas, typical of that time: one with cheese and basil; one with garlic, oil, and tomato; and one with mozzarella, basil, and tomato. The queen, impressed by the colors of the last pizza, which resembled the national flag, preferred that one. Since then this pizza is known as Pizza Margherita, and Don Raffaele is credited with its invention, even if we know that it already existed for a long time. At the beginning of the last century, with Italian immigrants, the first pizzerias appeared also in the United States, where pizza has become a mass phenomenon. 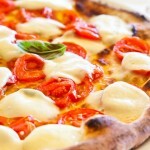 Yet, even today the best pizza is found in Naples, where it is rigorously made with buffalo mozzarella. 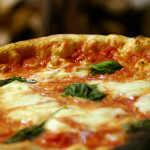 Superior pizzas are considered those obtained by moderate variations of the simplest and most popular: Pizza Napoletana with tomato, garlic, oil, and oregano; Pizza Margherita; Pizza Marinara with tomato, anchovies, capers, and olives; and Pizza Four Seasons, divided in four quadrants, each dressed in a different way. Pizza with hot salami, the American Pepperoni pizza, is instead originally found in the Calabria region south of Naples, where this type of hot sausage is produced.